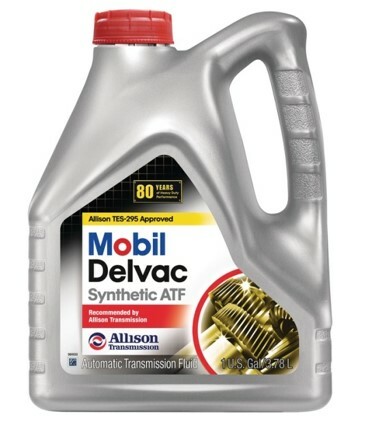 This oil is usually available at the dealers and used to service an OEMs vehicle. 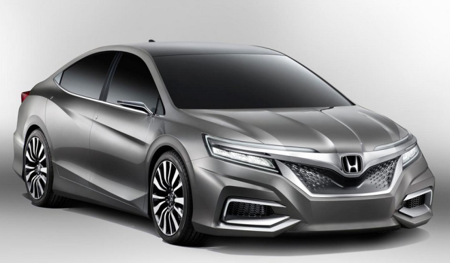 In ATF, many OEMs do not have general service fill programs so the only place to get Honda ATF for example, is at a Honda dealer. Several of Afton ATF customers are genuine oil suppliers. Many of our own customer's ATF fluids are "licensed" by certain OEMs to use their trademarks. DEXRON VI and MERCON LV are great examples. Afton's CTS team can help customers obtain these licenses for their ATF fluid. Those companies who directly supply OEMs are often referred to as tier 1. To be a tier-1 supplier requires a very high quality standard and supply security which is often audited by the OEM. Some of Afton's oil company customers are Tier 1 suppliers. 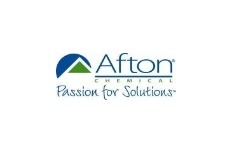 Afton is often a tier 2 supplier as we supply tier 1 oil companies with additives used to blend factory- fill ATF. As a tied 2 supplier we adopt many of the quality and security process' exhibited by tier 1 suppliers. 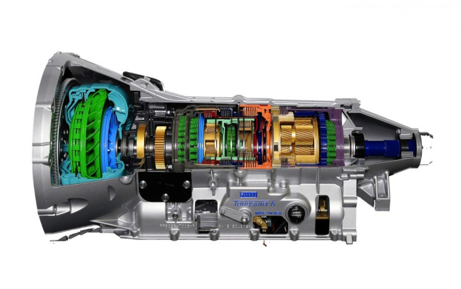 ZF and BorgWarner are two examples of tier 1 suppliers who supply either parts of transmissions or even whole transmissions to the OEM's. The supplier of oil to these manufacturers are tier 2, so Afton might be considered a tier 3 supplier. This video has been tailored for specific customers with individual logos and customized commentary. Why do our customers have so many SKUs related to ATF? This section will cover the topic of multi-vehicle ATF. All of these mean different things to different people. None of them mean much at all without clarification. It is the 7 centistoke multivehicle ATF which is confusing and complicated. Different customers take different views. This is the lowest sector for our customers - uses low cost additive (such as HiTEC 3421) in lower cost group II base oil. Often referred to as a "commodity by our customers"
For these same older vehicles but also with improved friction stability and torque capacity, they are often also marketed to Japanese and other import vehicles. Afton's product, HiTEC 3418M, is often promoted for this application. 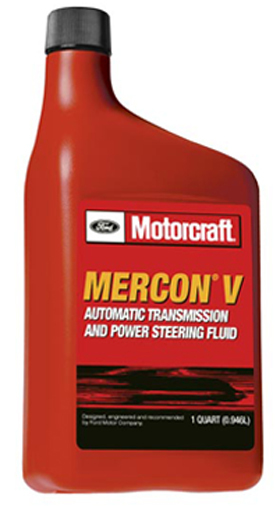 To complicate matters further, some customers require a MERCON V approval. This starts to raise the cost as this fluid's low temperature properties demands high levels of group III base oil. Today, Vehicles with CVT are no longer necessarily "small"
There are no service fill specifications for CVTs, most owners go back to the dealer for service. 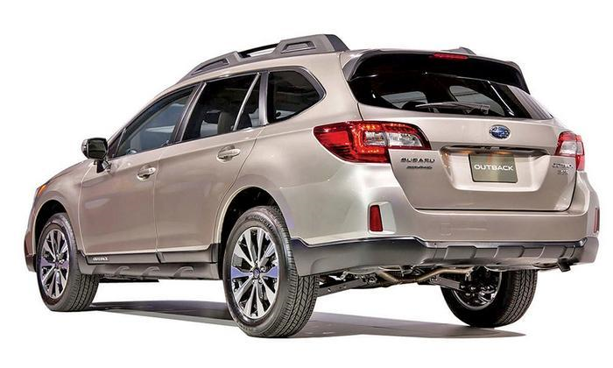 As these vehicles are now coming out of warranty, the service fill sector is expanding. 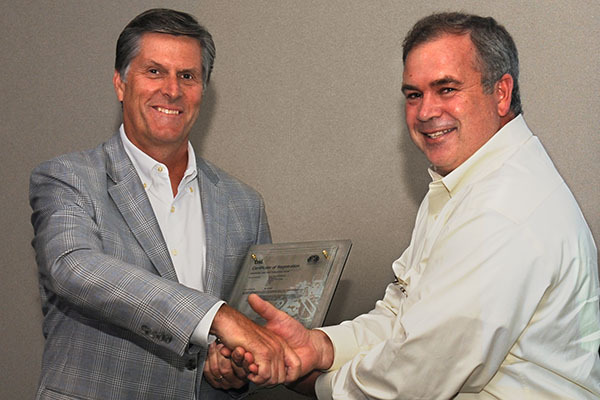 How best for our customers to capitalize on the CVT opportunity? If just 10% of the vehicles using lower tier ATFs use the CVT product, then the premium market for our customer would double! In most cases, it may not be worthwhile for NA based customers to launch a DCT product. 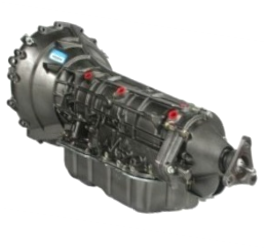 In the event they do, the product HiTEC 3460 will serve the majority of transmissions. HiTEC 3460 is used in combination with a separate VII, HiTEC 5739 in group III base oils. 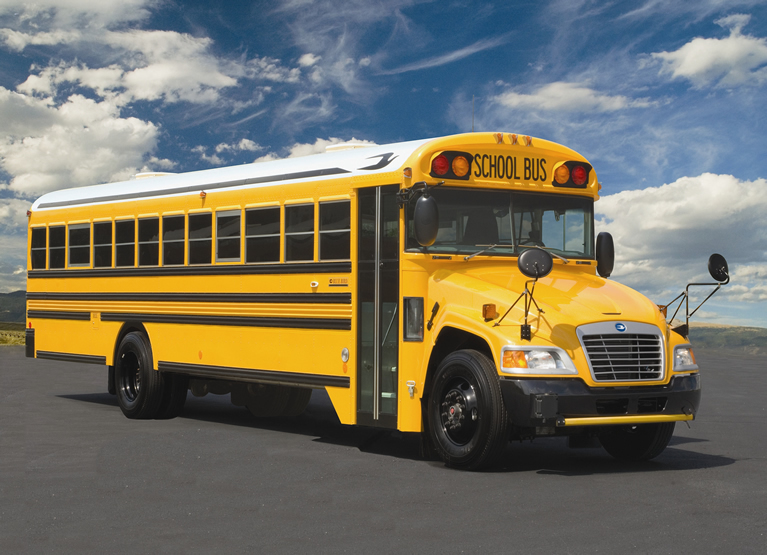 How can we best help our customers make more money in the multivehicle ATF sector? 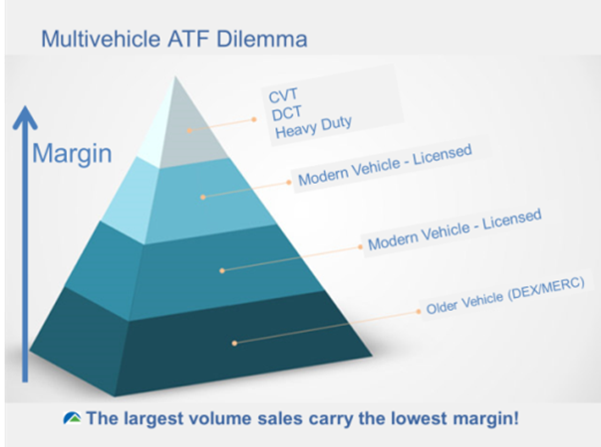 Heavy Duty (or commercial vehicle) ATF is often overlooked as the industry tends to focus on the larger light duty market. However, there is a good business for our customers in the commercial vehicle ATF market which is one where Afton is a major additive supplier. Customers often like to offer the transmission fluid in their portfolio so that they can secure the HDEO business at the fleet or municipality. 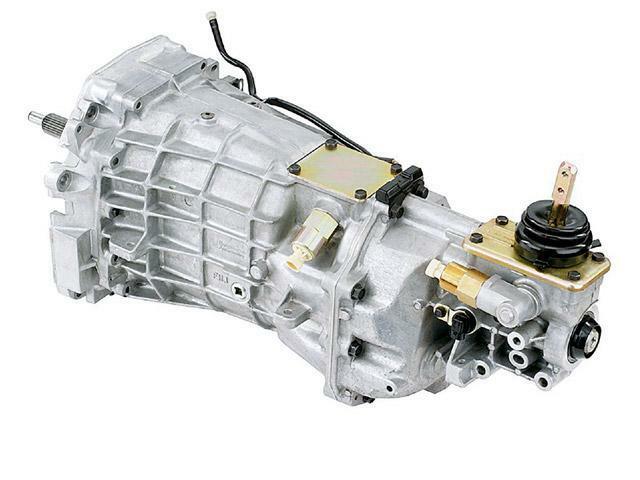 In North America the major truck manufacturers tend to use manual transmissions. These manual transmissions often act like automatics in that there is no stick shift for the driver to worry about. 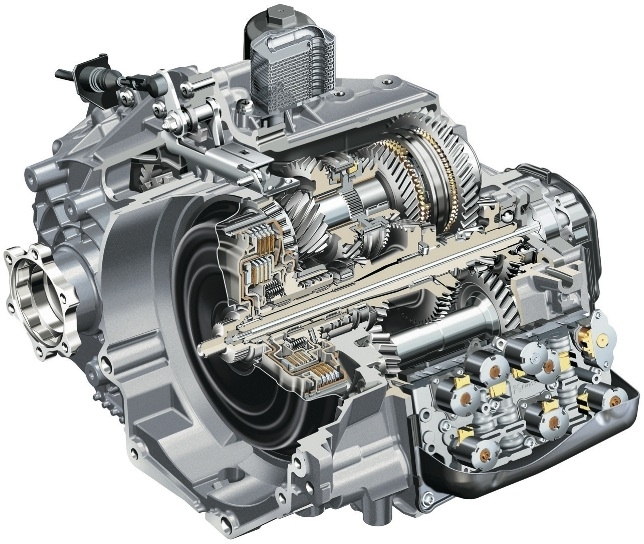 The gear shift is automated by a computer and a series of solenoids. 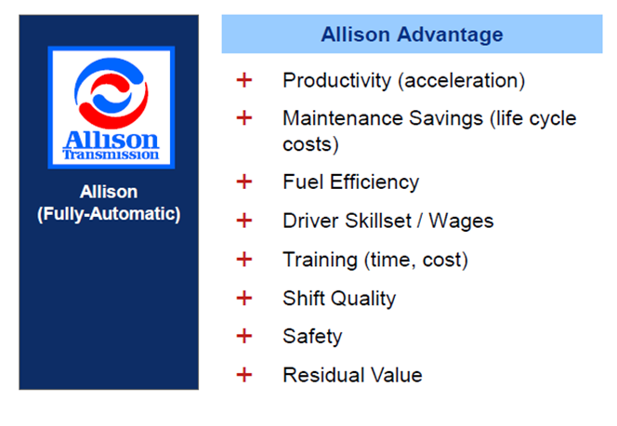 This automation brings efficiency (the vehicle is always in the right gear) and durability (no bad gear changes). Volvo, Daimler (Freightliner) and Eaton all manufacture automated manuals (AMTs). 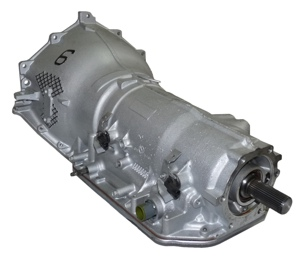 There are however, some true automatic transmissions used in the commercial vehicle market. 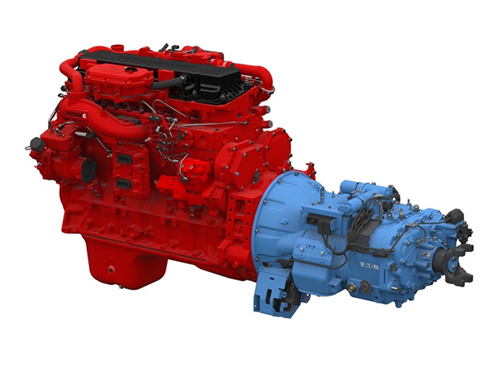 In North America, Allison is the market leader, though Voith and ZF are also players. The cost and timing for the approval will be extraordinarily high. We plan to work with Allison to try to bring approvals to our customers, standby for more information soon! 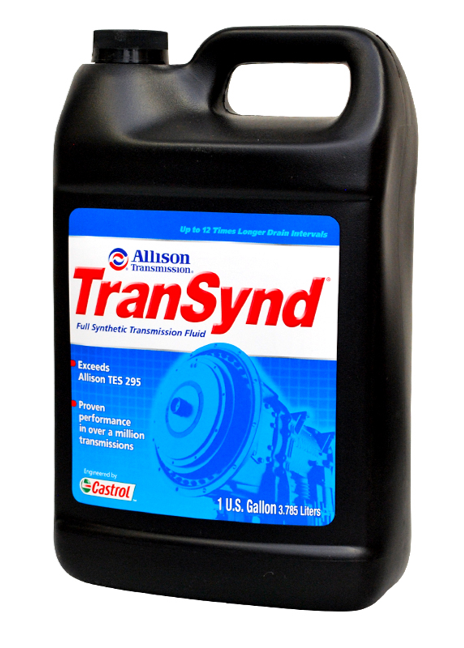 Why is there so much interest in Allison TES 295 approved transmission oils from our customers? Did you find this sales training useful? What could we do to make this training more engaging? Which type of ATF training would you prefer? Would you like to see a customer friendly version of this online training?